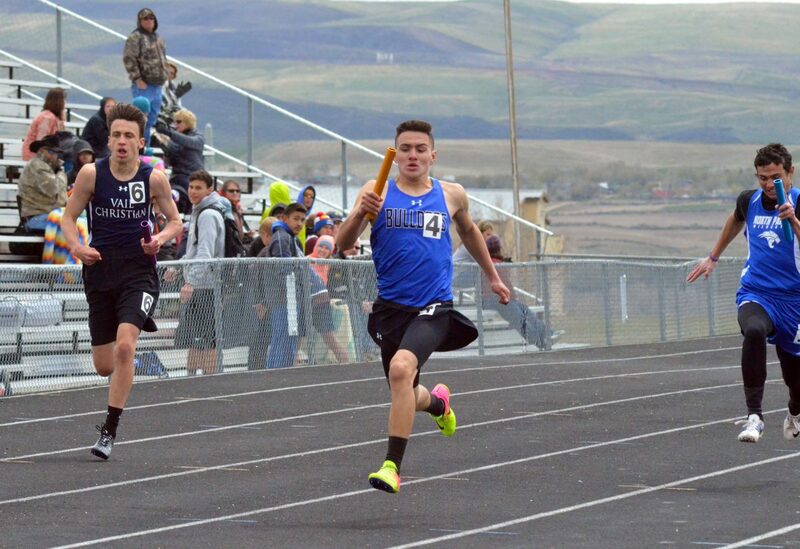 Moffat County High School's Victor Silva takes the lead during a relay in the 2017 Clint Wells Invitational. MCHS track will attend meets in Meeker, Grand Junction and Glenwood Springs in the coming week. 7 p.m. Craig Parks and Recreation volleyball at Craig Middle School, 915 Yampa Ave.
5:30 p.m. Craig Parks and Recreation kindergarten, first- and second-grade girls basketball at Sunset Elementary School, 800 W. Seventh St.
5:30 p.m. Craig Parks and Recreation kindergarten, first- and second-grade boys basketball at Sunset Elementary School, 800 W. Seventh St.